Vancouver Point Grey: Kitsilano Coast Guard Station Must Stay Open! 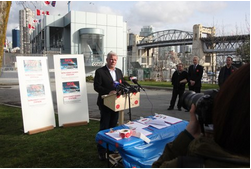 John Cummins, a former Member of Parliament and leader of the BC Conservative Party held a press conference yesterday and read out loud his letter to Prime Minister Stephen Harper urging reconsideration of the decision to close the Kitsilano Coast Guard station. I stand firmly beside the honorable Mr. Cummins and as a boater and father, believe that closing the Kitsilano Coast Guard station will result in tragedy. Rather than act on raw emotion, I chose to do some fact finding on the topic. According to the spokesperson at the press conference yesterday, the Vancouver waterway is Canada's busiest waterway and the Kitsilano station handles roughly 350 calls per year. It has been staffed continuously for over 50 years and is ready to respond with trained experienced staff 24 hours a day, 7 days per week non stop. The complete staff list according to the Coast guard official site at http://www.ccg-gcc.gc.ca/e0003905 The Kitsilano office serves a very large area. They can be under the first narrows bridge in less than ten minutes. While many people believe the CoastGuard is strictly mandated with boating safety and marine distress calls, it is imperative to understand that they are also covering many other important work programs including Environmental protection. The Canadian Coast Guard's Environmental Response (ER) program mission is to ensure an appropriate level of preparedness and response capability for all ship-source and mystery source pollution incidents in waters under Canadian Jurisdiction. (Reference - http://www.ccg-gcc.gc.ca/eng/Ccg/er_Home). Security is also a primary mandate. Following the events of 9/11, the Government of Canada reassessed vulnerabilities in Canada¹s transportation systems and evaluated the capacity of departments and agencies to address gaps in its security structure. The resulting National Security Policy (NSP) identified the Canadian Coast Guard¹s (CCG) on-water resources and maritime information collection capacity, as well as the Department of Fisheries and Oceans¹ (DFO) aerial surveillance capability, as having key roles to play in supporting national security. Protecting Canadian national interests is important. The Canadian Coast Guard has taken a leadership role in the development and deployment of what is one of the most effective new tools in global maritime security, namely the Long Range Identification and Tracking (LRIT) system. In the wake of 9/11, the International Maritime Organization spurred the creation of a satellite-based system that would give participating governments (Flag States) the ability and time to evaluate the security risk posed by Safety of Life at Sea (SOLAS) Class vessels (ships of 300 gross tonnes or more on international voyages) intending to enter their ports or passing within 1000 nautical miles of their coast. Without scare mongering, several international think tanks have raised the issue of terrorist activities that may use commercial maritime traffic as a means to inflict mass destruction on the environment and in terms of human safety. The BC Conservative party believes both the Coast Guard and the Marine merchants are important pillars of our safety. I write to you today with regards to the impending closure of the Canadian Coast Guard search and rescue station at Kitsilano. government’s decision to close the Kitsilano station. spending under control, to eliminate the deficit and to reduce our national debt. It is my sincerest hope that provincial governments across the country – including my own province of British Columbia – follow your lead in having the courage to make difficult, and sometimes unpopular choices so as to restore Canada’s fiscal health and prosperity. That said, some public services are so vital, so essential to the safety and well-being of Canadians, that they should receive special consideration when funding reductions are contemplated and implemented. One such public service, I believe, is the Canadian Coast Guard station at Kitsilano. There are many compelling reasons why the Kitsilano station must remain open and operating. 1. The Kitsilano search and rescue station each year responds to an average of 350 distress or emergency calls, saving many lives. crew and vessels available 24 hours a day, 365 days a year. 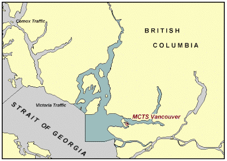 They do not agree with the senior management of the Canadian Coast Guard’s view that a hovercraft based on Sea Island in Richmond – approximately 35 minutes travel time away from Vancouver – is an adequate way of protecting Canada’s busiest harbour. In favourable conditions, a delayed or lengthy response by Sea Island hovercraft can easily be the difference between life and death. 3. The travel-time between Sea Island in Richmond to False Creek English Bay, Burrard Inlet or the Strait of Georgia is vitally important – and especially so during ‘out-ofseason’ months – because of the low survivability rates in extremely cold water. Many fatal boating accidents occur in the winter when boating or water-accident victims find themselves suddenly plunged into water at temperatures considerably lower than those in summer-time. Individuals in distress are hit quickly by panic and shock, and many succumb to cardiac arrest or hypothermia. Cold water, it has been noted, can rob the body of its’ heat 32-times faster than cold air. Accident victims and their rescuers are advised that all efforts must be given to getting out of the water by the fastest means possible. The hovercraft based at Sea Island in Richmond, which does not have all-weather capabilities, is incapable of responding as promptly to accidents or other events of distress as the existing Kitsilano station. 4. It has been argued by your government that part-time members of the Coast Guard Auxiliary – aided by summer-students with two months of training – are an adequate substitute or replacement for the highly-skilled and professionally-trained personnel with the Canadian Coast Guard search and rescue force. This is patently untrue. Moreover, the proposed replacement of a year-round, professionally-trained, 24-hour search and rescue service, with a May-to-September, three-person inshore rescue team is plainly inadequate to the proven needs of British Columbia’s boaters, mariners and other water users. the grand scheme of things. Some estimates are that the station’s closing will be as little as $700,000 – before accounting for the costs of the May-to-September part-time service. And that means actually savings for Canadian taxpayers may be as low as $500,000. You and your government – our Government of Canada – has done much for B.C. in recent years. Across our great province, British Columbians are deeply appreciative of the federal government’s stewardship of the national economy, as well as your personal and on-going attention to the needs of British Columbians. But the closure of the Kitsilano Coast Guard Station has become an enormous concern for our province, with political representatives from all B.C. parties united in calling for it to remain open. Prime Minister, I urge you to as you have done in the past, in the best interest of British Columbia, intervene and keep the Kitsilano Coast Guard Station open. I believe the B.C. public will thank you for it and time will show that it was the right decision. I would be pleased to speak to you privately about this issue at anytime, with you or your staff.